Remember back when you first loaded up Gran Turismo 4 for the Playstation 2? Were you astounded by “how far graphics had come?” What about the latest version of Forza, for the Xbox One, which boasts some amazingly realistic car designs and graphical elements. Some new screenshots from World of Mass Development are threatening to blow the top off the realistic racing scene, and their newest venture dubbed Project Cars is a shining example of just how far gaming has come in the last few decades. The developer's newest blog post wrapped up 2013 by introducing a slew of visually stunning pictures. There are over 60 beautifully composed photos here, showcasing everything from cars, to tracks, to the tiniest of environmental details. WMD promises in their post that all of these screenshots are completely in-game footage and that no specialized photo software or game modes were used to create these images. These snapshots were compiled by the WMD community, meaning they most likely came from a variety of computer types with varying graphical strengths. This would be welcome news to PC gamers, who wish to obtain this type of visual elegance without having to spend a fortune on PC upgrades. 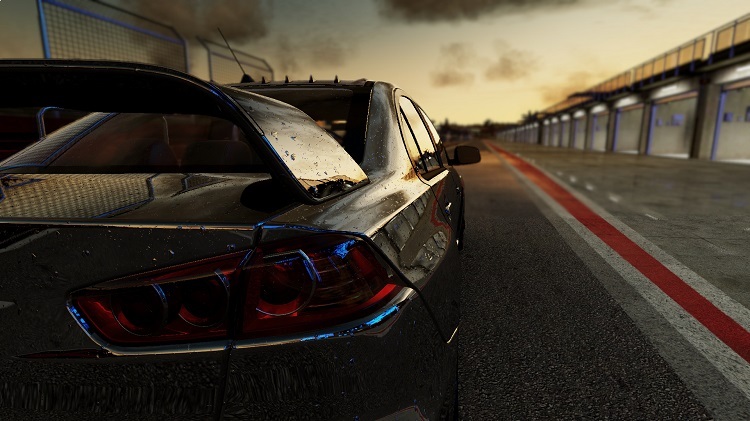 Project Cars is slated to release on a variety of platforms, including Xbox One, PS4, Wii U, Windows, and the Steam OS. It will be very interesting to see where Project Cars goes in the future, and just what kind of PC-based requirements it will carry. Until then, just enjoy staring at these jaw-dropping pictures.